Politicians and political groups have quickly realized the potential of social networking sites as campaign tools. Although scholars have begun examining the political impact of social networking sites, more research should explore the use of these sites for political purposes. 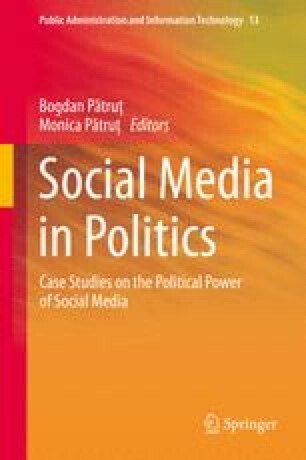 The present study uses content analysis of both the 2012 Presidential candidate’s official Facebook pages to understand how politicians use social networking sites to reach out to voters. Currently, President Barack Obama’s Facebook page has 35 million users, while Mitt Romney’s has 11 million users. Employing concepts from the political campaigns literature, the study examines how each candidate used campaign tools in Facebook. The duration of the study was September 3rd (Labor Day) to November 6th, 2012 (the day of the election). The present study found that both candidates used several similar strategies in reaching out to their fans. Both the candidates’ most common purpose for the posts was to promote their candidacy. However, in case of attack and contrast posts, Romney used the strategies more frequently. Overall, Romney led a more aggressive campaign on Facebook, using negative strategies and fear appeal.